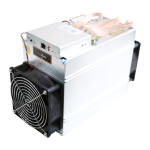 The 16nm SHA256 ASIC was completely rebuilt by BitFury for improved Bitcoin mining. 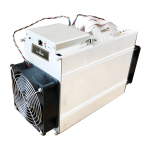 This is one of the best solutions for Bitcoin miners as it uses 8162 hash cores for every die. As such, it’s more effective than ever before. Margins in processing Bitcoin transactions are enabled through efficiency. Because more and more miners are competing to locate blocks, there is more difficulty in mining. 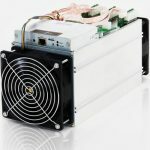 At the network’s point of saturation, miners with the most efficiency are the most profitable. Using the BitFury 16nm ASIC provides stellar efficiency of up to 0.06J/GH. 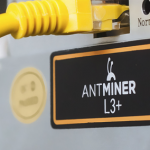 This service will benefit miners of all levels, from hobbyists to massive operations. Because the BitFury 16nm ASIC has better performance per chip, there is less cost, it takes up less space, and it runs with much less noise. The chip work using 8162 rolled hash engines that work in unison to provide speeds of up to 100 GH/s and 0.1 J/GH efficiency with air cooling. With the exclusive immersion cooling technology, those figures reach 180 GH/s. It was hard work building a completely customized ASIC. The team at BitFury built upon previous incarnations of the successful custom ASICs to perfect the design with the TSMC 16nm. This was done through thousands of programming hours, more hours running simulations, and even more fine-tuning every minute detail of the efficiency. Through all of this meticulous work, the team was able to reach a record low 280mV threshold voltage. This is the best possible efficiency figure on the market. Each of the transistors on the 8162 hash engines were designed and positioned by hand for the best performance imaginable. We are proud of the work we put in to offer such cutting edge chips and we are sure that they will assist you. These top-of-the-line ASIC chips are offered to both professional enterprise miners and integrators. Because we want our customers to have equipment that is ready to use upon purchase, they come with the promise of proven reference data. This ensures that the hardware you receive will work completely as intended and provide the best possible efficiency numbers from any similar products. The team is also interested in partnerships for joint ventures in Bitcoin mining beginning from 30MW from a single location. This can be done from any position on the globe. For more information, the sales team can be reached at sales@bitfury.com.